Does Age or Being Male or Female Change the Price of Medicare in NC? In Medicare, depending on the carrier, your geographic location, the state, Medicare supplement rates can be priced differently for males and females. It can be. Not so with Blue Cross Blue Shield of North Carolina. We’re gender neutral with that. 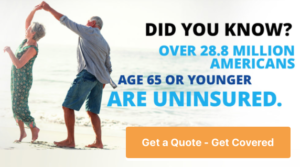 Medicare itself, Part C, known as Medicare advantage, in that it is your Medicare coverage if you elect to increase your original Medicare to Medicare Part C, is not age sensitive. It is the same price male, female, whether you’re 65 or 95. If you are in Raleigh, Charlotte, Wilmington or anywhere from Murphy to Manteo, The Mair Agency can assist you with your Medicare application.